Rabbits are a fantastic animal for the homestead, especially for urban homesteads like mine or Erica’s. They’re quiet, space-efficient, and don’t smell much if cared for properly. Rabbit manure is a nutrient-rich addition to the garden that doesn’t require composting before application if it doesn’t directly contact edible foods like greens. Rabbit meat is delicious, similar to chicken, and requires essentially no specialized equipment to humanely dispatch and quickly butcher. You’ve seen the articles in homesteading magazines and blogs about how “three rabbits can produce a bajillion pounds of meat a year” and the like. I became interested in rabbits because of articles like those, and ended up getting my first pair a year earlier than planned when a friend gave me some “free” initial breeders. Shortly after, I was hooked, and I don’t regret it at all. But I sure wish all those articles aimed at encouraging people to raise rabbits talked about some of the realities I had to learn the hard way. 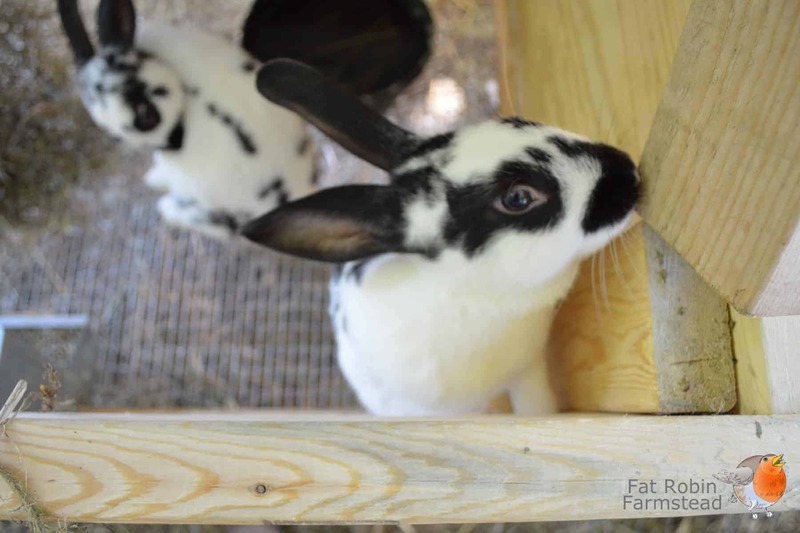 In this article, I’ll share what I wish I’d known before getting into meat rabbits. Again and again and again books and articles on rabbits stress buying the best breeding stock you can find. 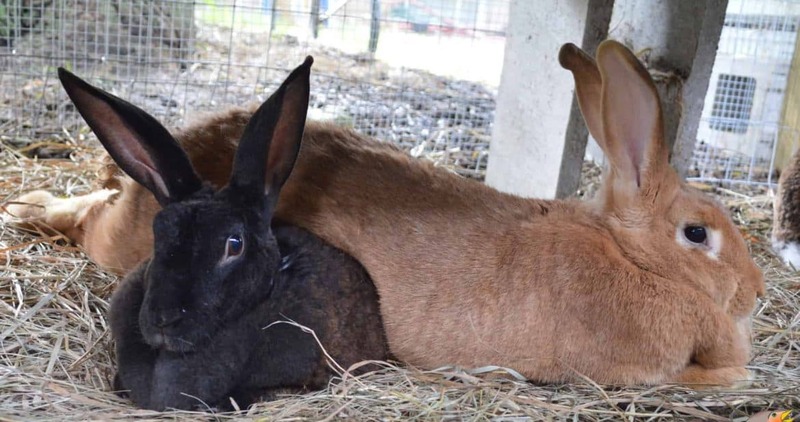 When you buy a breeding rabbit, you’re buying genetic possibilities. Possibilities are not promises. I know serious rabbit breeders who’ve bought champion rabbits costing as much as $450, only to turn around and shortly after cull and eat them. Basically all domestic rabbits are silent carriers of at least one serious disease, pasteurella, and stress – including the stress of moving to a new rabbitry – can bring this disease to the surface. It’s common for rabbits to fail to thrive when moved to a new rabbitry with a different feeding or breeding regimen. Even seemingly small changes like swapping a rabbit from one brand of feed to another can impact performance. My first rabbits were in the 95th percentile of growth rates for the breeder from whom I bought them, but in my rabbitry, these same rabbits are closer to 50th percentile in growth. The best feed in my area is not nearly as good as the feed my breeder used, and I prefer to feed more hay than the original owner. 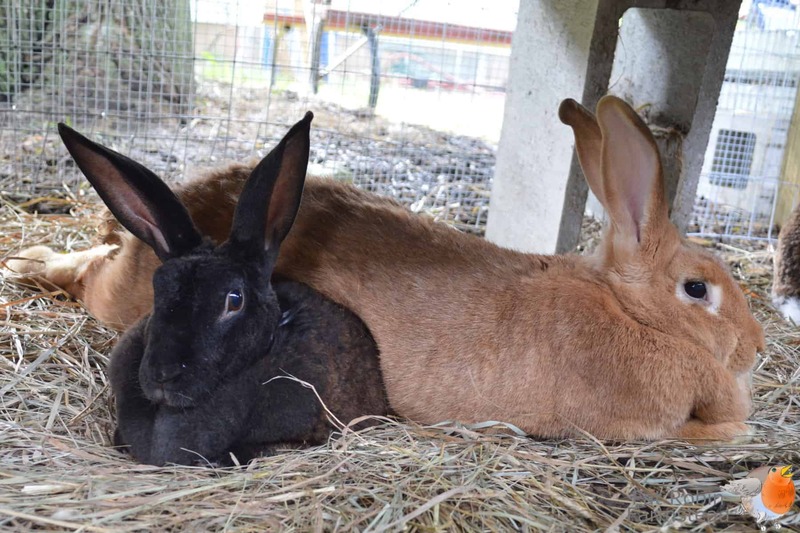 As with any livestock, the genetic potential of the rabbit is influenced by nutrition, activity, stress and other factors, and a rabbit keeper will have to breed toward the genetics that work best in his or her particular rabbitry. After trying most of the feeds available in my area, and experimenting with different ratios of commercial pellets to hay and forages, I’ve found a feeding regimen that works for me. I’m now selecting for breeders that perform best on that feeding regimen. With very few exceptions, a sick rabbit is a rabbit that needs to go in what I call the Bad Rabbit Rehabilitation Facility (the crockpot). The primary health problems with rabbits are not treatable but instead best dealt with by culling the bad genetics. This is hard for many beginning breeders, especially when you have good money invested in your animals, or have become attached to your first breeders. Poor performing breeders, either because of small litters or slow-growing litters, also should be culled. Even if you’re just raising meat for personal consumption and never plan to sell, poor rabbits produce really expensive meat. 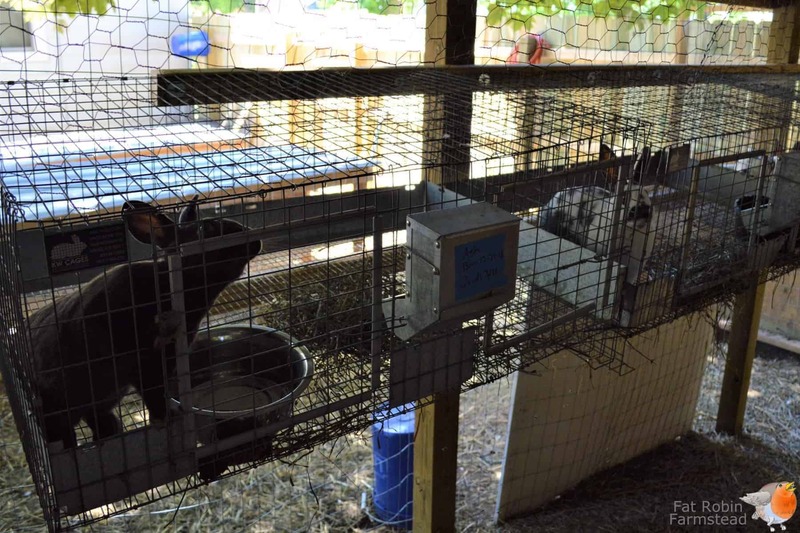 If you raise rabbits in the typical hanging cages or hutches, you bring the doe you wish to breed to the buck’s cage after doing a pre-breeding health check on both. Even after several apparently successful breeding sessions, does will sometimes not take. Some misses are just misses. Maybe conception never occurred or something happened during the gestation. Maybe the buck was shooting blanks because of heat sterility. Sustained temperatures over 90 will typically render bucks sterile unless kept in a ground pen where their bits are cooled by ground contact. But until your stock is “proven,” failure to breed can indicate a rabbit that needs to go to the crockpot. Most breeders use a “three strikes” rule. My first buck had partial paralysis in his hindquarters I didn’t notice until I tried to breed. It took me some time to get a second buck. By the time he was settled in, temperatures were so hot that the first round of breedings didn’t take. 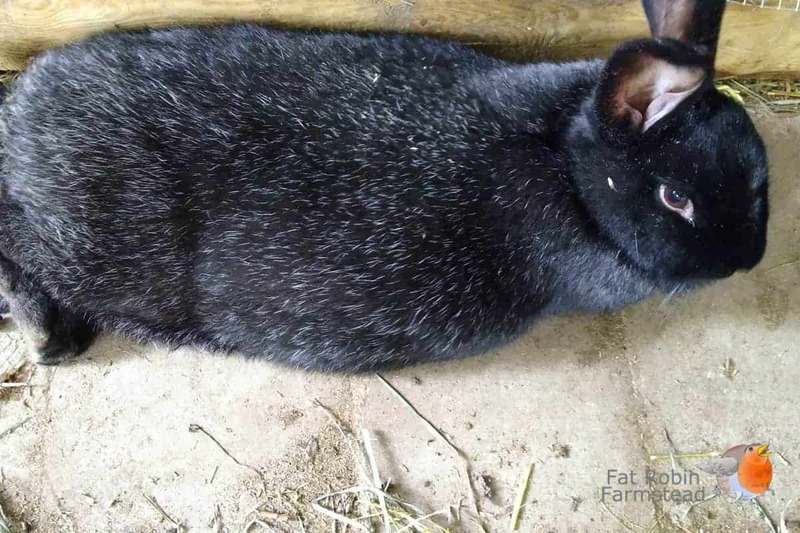 I didn’t have my first successful litters until six months into having rabbits, and then I had some disease and predator issues beyond the scope of this article. A year into rabbits and I am finally feeling like my breeding is operating decently well. As I write this, I have litters awaiting butcher, two weeks away, five weeks away, and nine weeks away with three unproven does due to kindle (give birth). It’s been a long journey to get here. There’s a phrase in the rabbit community called “rabbit math”. 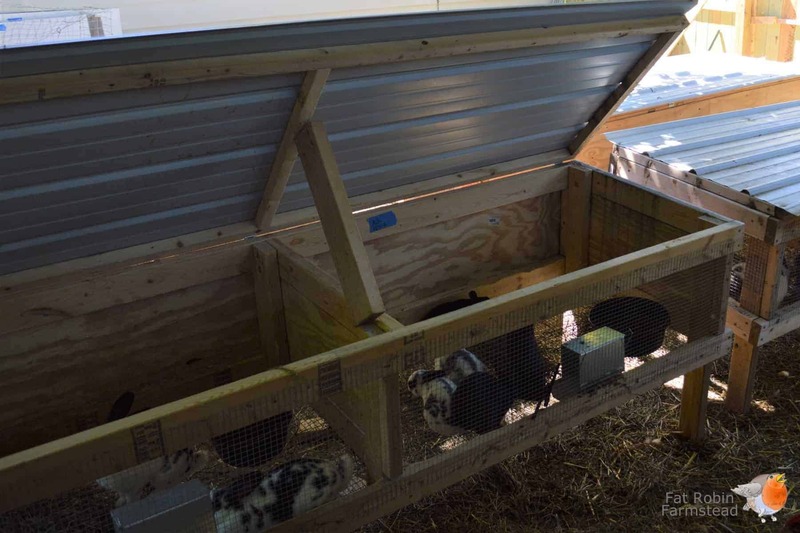 (Chicken keepers will be familiar with the closely related “chicken math.”) If you’re luckier than I am starting out – and I’m told most people are – one day you’ll wake up and realize you have a lot of rabbits. Or, like me and many others, you’ll want to start collecting more breeders. New breeds, new colors, new genetic possibilities. It’s a good idea to always have an empty cage or two ready to go, or at least room in the budget to buy one. Speaking of budget, the more successful your rabbitry, the lower your overall cost per pound for rabbit meat. Achieving that “rabbit math” stage can be a real turning point for the financial return on your investment. The budget I have for rabbits has me deep in the red. I got crazy building a cool colony pen, but also had some expensive setbacks thanks to predators and disease. Right now I’m producing meat for the low, low price of about $42/lb if you don’t amortize out the capital expenses. Yikes! Rabbit is tasty, but not that tasty. However, with every successful harvest of rabbits that cost curve bends down lower and lower. If you consider just the meat I currently have “on the hoof” but have not yet harvested, my average cost per pound drops considerably. I’ve never personally had anyone get angry that I raise rabbits for meat, but there are stories in many of my rabbit groups of people getting very worked up. Some of my fellow rabbit keepers have become the targets of extreme animal rights activists and received threats or actual vandalism and theft. Like most things in life, people in general are cool about rabbit keeping (I’m actually surprised by how many of the comments I’ve received were positive), but an active minority of people are strongly against keeping rabbits for meat. Don’t be surprised if you become a lightning rod for negativity. One tip I can pass on in this regard is that saying, “I raise meat rabbits” goes over better than saying “I’m raising rabbits for meat.” Referring to them as “meat rabbits” seems to make people unfamiliar with rabbits think of a different animal than the fluffy pet they have in their imagination. Get scratched a few (hundred) times with razor sharp nails when handling your own rabbits and you’ll no longer see them as quite so cute either. A lot of people are worried about whether they could dispatch and butcher their own animal at all, let alone a cute rabbit. Emotionally it is never easy as most livestock raisers will tell you, but practically the process is simple to learn, either from YouTube videos or by finding a mentor or workshop in your area who can guide you through it. Discussing specifics is beyond the scope of the article but rest assured the learning curve isn’t very steep. I don’t want to turn anyone off of raising meat rabbits, so please don’t let this frank assessment of the challenges discourage you. I’ve become a rabbit addict now, despite what many experienced breeders have told me was an unusually rough start. 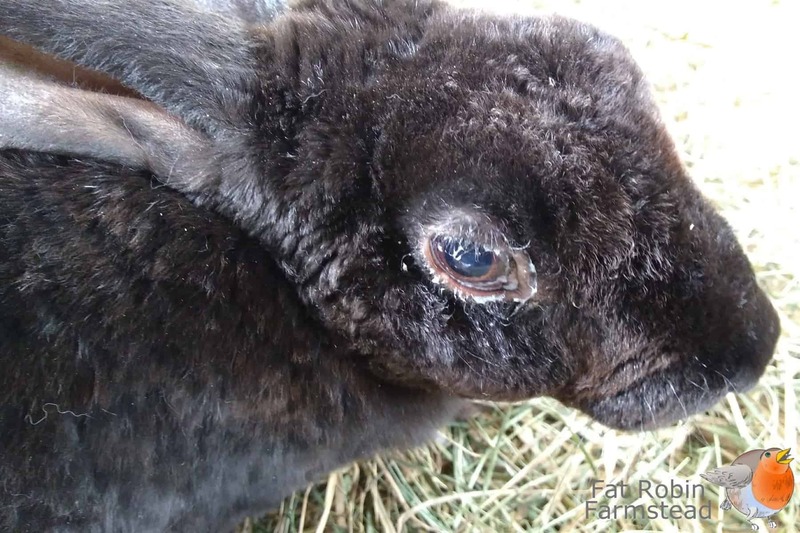 But because of my rough start, I want to help people thinking of raising meat rabbits go into the hobby with their eyes open. 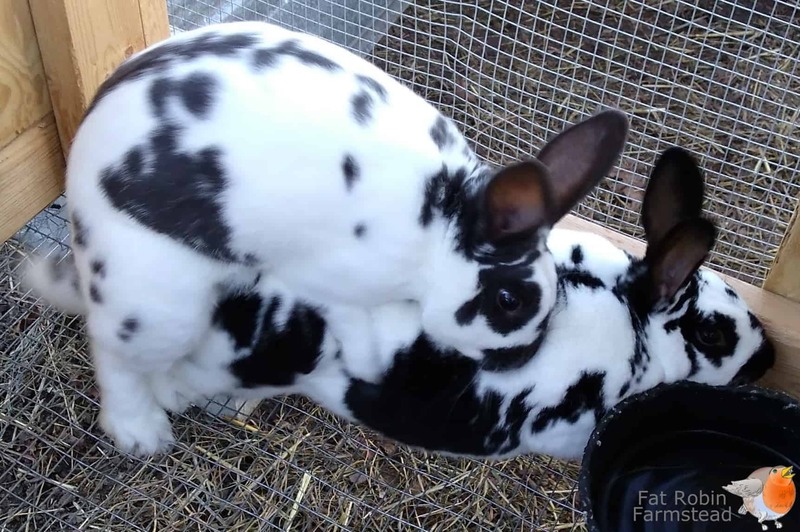 There is far more to rabbits than the “hundreds of pounds of meat a year in your backyard” that so many beginner homesteading articles focus on. Rabbits should be considered a moderately advanced livestock. It will take time and experience to raise them efficiently. They don’t have the capital expense of larger animals like pigs and cattle, and their very real disease issues aren’t as challenging as parasite management in goats or sheep, but they’re definitely more challenging than raising a batch of meat chickens and more work than keeping a flock of laying hens or ducks. For learning more about meat rabbits, I found the Buns and Broomsticks Facebook group particularly valuable. It’s filled with very knowledgeable meat rabbit breeders at all scales and doesn’t have the misinformation unfortunately common in many other rabbit groups. For those in the Pacific NW, Edelweiss Ranch in Graham, WA offers several different classes and workshops. I’ve read a draft of the text used in the Joy of Rabbits class and it is a better introduction than any of the published rabbit books out there. I used to keep houserabbits and am unfortunately familiar with pasteurella. I’m suprised because what I understood from the article is that rabbits with this infection are ok to eat? Do you cull at the first sign or is there antibiotic withdrawl to consider? Rabbits are cute but man, they can be delicious too. Yep, meat is safe to eat, organs are not. In general that’s the case with almost all rabbit illness – the meat is safe is cooked to proper temperature, but the organs should be discarded. People have different cull points for pasteurella. I cull when I see white or colored snot. I don’t treat with antibiotics, antibiotics don’t cure the disease, they just suppress it/put it into remission. A rabbit with a weak enough immune system that it can’t suppress pasteurella on its own (something like 90% of domestic rabbits are silent carriers) is a rabbit I don’t want in my herd. They are delicious! Still learning various ways to cook them. Recently got a meat grinder so I’ve been practicing deboning and using it that way. You can’t eat the meat if it has antibiotics in it there should be a waiting period for that antibiotic before you can cull itfor meat. Like penicillin is 30 days from last shot not all Antibiotics are equal for meat waiting period hope this helped. Very good article! I do want to say that I’d never eat a sick rabbit. I’ve seen some with your sentiment for sure, or folks who won’t eat it themselves but will feed to a dog or cat. But multiple very experienced breeders have all told me what is safe and not safe to eat for human consumption. Very good article! I very much enjoy rabbit meat. I do want to say that I’d never eat a sick rabbit. And now I have taken in many “pet” bunnies that no longer was wanted as a pet. Bunnies are not goldfish people. One of my friends takes in a lot of unwanted animals, mainly chickens and ducks, but frequently rabbits and puts them in her freezer, lol. She has ads out in various places for unwanted animals. Losers. You can keep deleting these accurate comments and jerking each other off about eating peoples pets. Encouraging people to eat rabbits? There is no difference between rabbits raised for meat and pet rabbits! If you keep their nails trimmed you also won’t get scratched! Common sense and you deserve it anyway! Idiot! Thank you for such a fruitful information. Have you started tanning hides yet? If not what do you do with them?